Come on out! 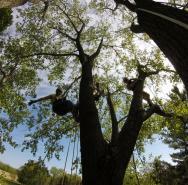 Explore nature in a whole new way with us at TREE CLIMBING CANADA. This is a great adventure that combines outdoor recreation and the trill of being at heights. Experience something new or just hang out and see the world from a different perspective!